Garden/pool party and terrace party venues. Club Belvedere Built over 1,00,000 sq. ft. (9290 sqm). VRV Air-conditioning in Living Room, Dining Room and All Bedrooms. all-accessible design with basement and terrace give you convenience and comfort beyond measure. 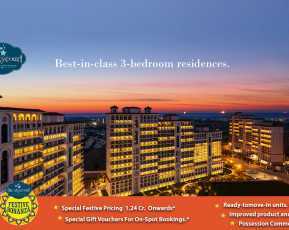 Adani Brahma Samsara is a huge township which is coming up in the vibrant location of Gurgaon. This is a massive township which is coming up in 150 acres of land area. The best feature about this township is that it has amazing sports facilities for sports lovers. Adani Brahma Samsara has a huge 9-hole golf course which has been made to international standards. The other community amenities include a club house, other indoor and outdoor sports facilities, kids’ play area, swimming pool, landscaped garden, open space, power back up, 24 hours of water, power & security back up, car parking and a gated community. Adani Realty Group is the creator of this massive property in the vibrant city of Gurgaon. 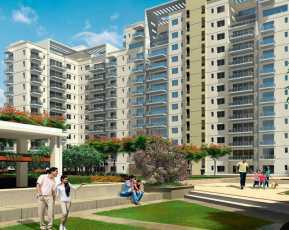 Adani Brahma Samsara is one of a Property in Gurgaon with a very huge development with plenty of greenery around. The apartments have been detailed and fitted with all modern amenities that a resident would look for. The idea behind making Adani Brahma Samsara is to provide the residents with utmost comfort of living in a modern secured residential society. The houses are made well with a personal touch and great ambience. This place has an amazing location which is well connected to the rest of the Gurgaon. 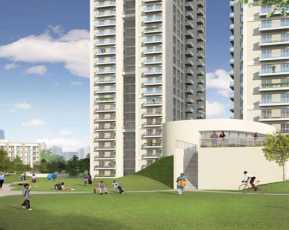 Adani Brahma Samsara is Located at Sector-60 in Gurgaon. 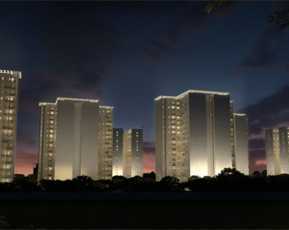 This Property in Sector 60 Gurgaon is a great location to be at. It offers smooth access to different commercial locations within the city. There is easy hassle-free commutation to different important destinations from here. The public transport is also easily available and also the metro connectivity makes it very convenient to travel to Delhi and that too in a very less amount of time. 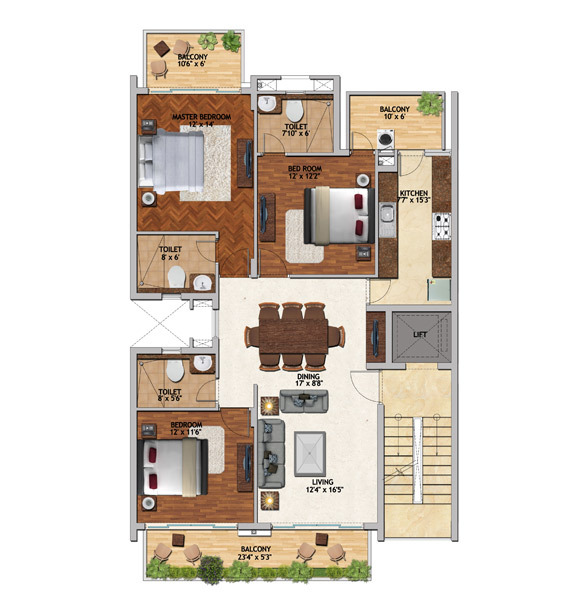 Adani Brahma Samsara price structure for this property is available starting from INR 1.75 cr. to 1.94 Cr. There are a lot of amenities offered for comfortable living. The price as per the offerings is highly competitive and it would not be wrong to say that investing in this property will be highly beneficial and will fetch good returns in the future. There are friendly payment plans available to ease out the payment pressure that may come while buying your home at Adani Brahma Samsara. Based on 5 recommendations Would you recommend this Property?